Lyst is a fashion shopping platform from Britain. It adopts the common way of shopping App, that is, a combination of traditional online shopping and fashion news notifications. Lyst is a fashion shopping platform from Britain. It adopts the common way of shopping App, that is, a combination of traditional online shopping and fashion news notifications. Comprehensive categories, exact search results, rich content which are well organized are the key points of a shopping App. 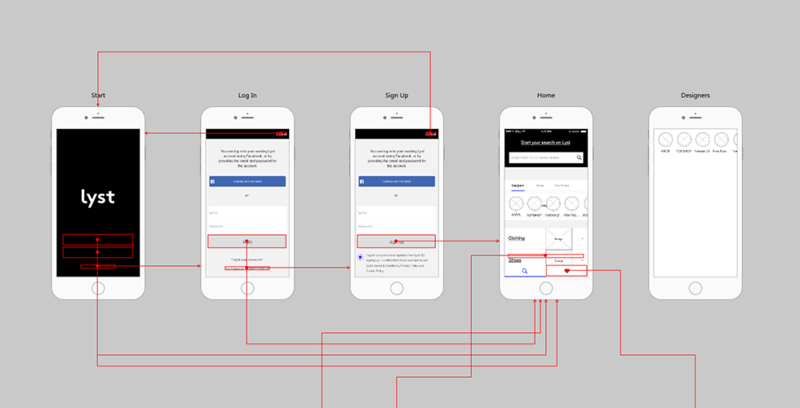 Thus, when designing prototype, we should pay attention to the logic and layout. Pages of this prototype: Starting, Login/Signup, Home, Search, Library, Details and Settings, etc.